Cite: Solution NMR structure of the SOS response protein YnzC from Bacillus subtilis. 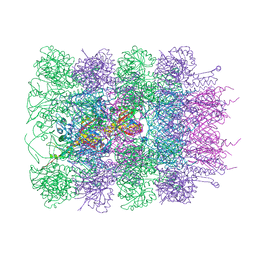 Cite: Structural elucidation of the Cys-His-Glu-Asn proteolytic relay in the secreted CHAP domain enzyme from the human pathogen Staphylococcus saprophyticus. 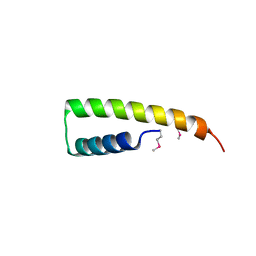 Cite: Crystal structure of the rare lipoprotein B (SO_1173) from Shewanella oneidensis. 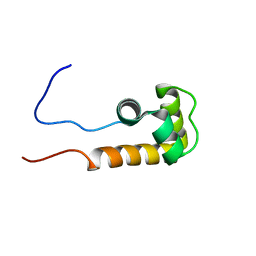 Cite: Crystal structure of the UPF0291 protein ynzC from Bacillus subtilis at the resolution 2.0 A. 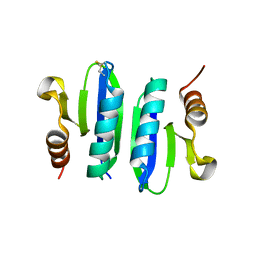 Cite: Crystal structure of the NMB1088 protein from Neisseria meningitidis. 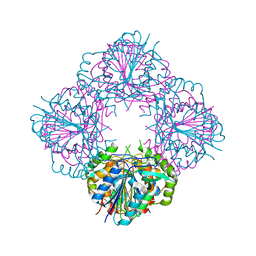 Cite: Crystal structure of protein GSU0716 from Geobacter sulfurreducens. 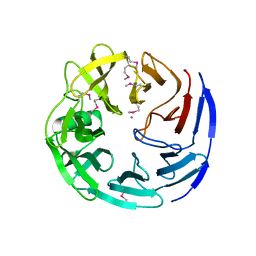 Cite: Crystal structure of DR_0571 protein from Deinococcus radiodurans in complex with ADP. 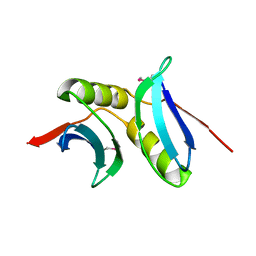 Cite: Crystal structure of oligogalacturonate lyase (VPA0088) from Vibrio parahaemolyticus. 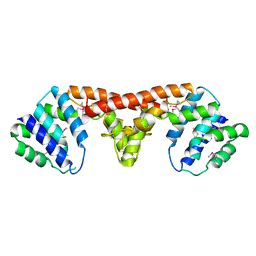 CRYSTAL STRUCTURE OF SAV_2001 PROTEIN FROM STREPTOMYCES AVERMITILIS, NORTHEAST STRUCTURAL GENOMICS CONSORTIUM TARGET SVR107. 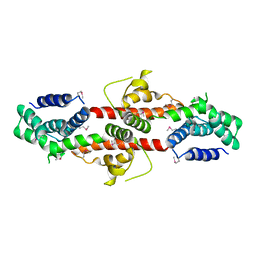 Cite: Crystal structure of SAV_2001 protein from Streptomyces avermitilis, Northeast Structural Genomics Consortium Target SvR107. 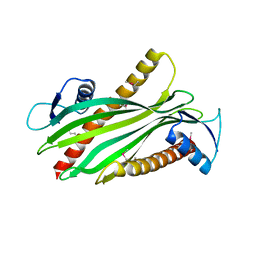 CRYSTAL STRUCTURE OF THE METAL-DEPENDENT HD DOMAIN-CONTAINING HYDROLASE BH2835 FROM BACILLUS HALODURANS, NORTHEAST STRUCTURAL GENOMICS CONSORTIUM TARGET BHR130. 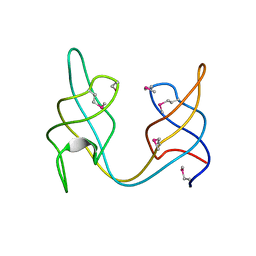 Cite: Crystal structure of the metal-dependent HD domain-containing hydrolase BH2835 from Bacillus halodurans, Northeast Structural Genomics Consortium Target BhR130. 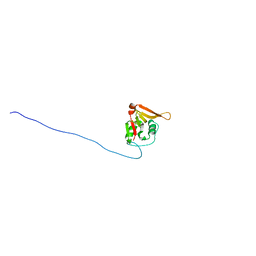 CRYSTAL STRUCTURE OF THE YDHK PROTEIN FROM BACILLUS SUBTILIS. 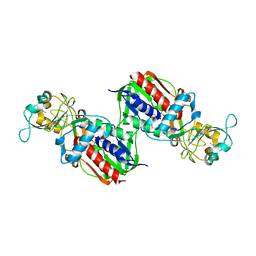 NORTHEAST STRUCTURAL GENOMICS CONSORTIUM TARGET SR518A. 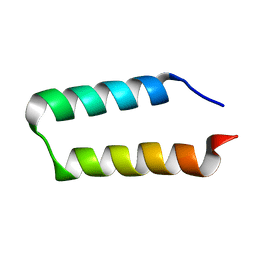 Cite: Crystal structure of the ydhK protein from Bacillus subtilis. 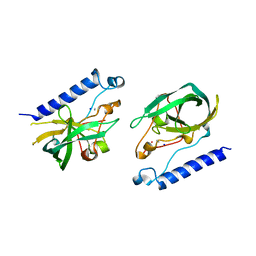 SOLUTION NMR STRUCTURE OF THE UPF0291 PROTEIN YNZC FROM BACILLUS SUBTILIS. 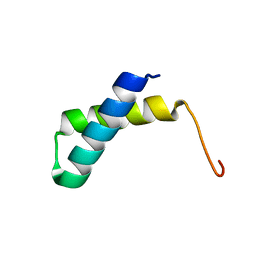 NORTHEAST STRUCTURAL GENOMICS TARGET SR384. 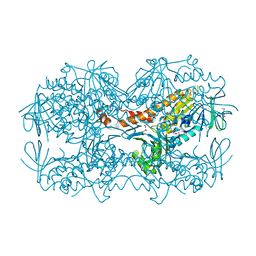 Cite: Solution NMR structure of VF0530 from Vibrio fischeri reveals a nucleic acid-binding function.